University of Health Sciences (UHS) has announced answer keys for MDCAT/MCAT held on 20th August 2017. Students can match their answers with the given keys to calculate marks in UHS MCAT/MDCAT test. Test key for MBBS and BDS admission is published by UHS. There are almost 3400 seats available in 20 Public sector medical colleges of Punjab, student can calculate aggregate on the basis of test results. 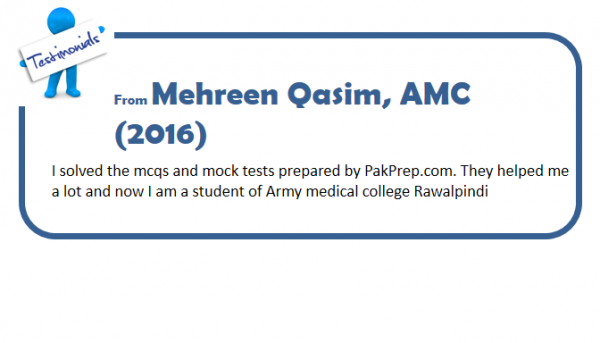 Pakprep.com is the best source for the preparation of MDCAT/MCAT test preparation our MCQ’s data bank contains more than 15,000+ fully explained MCQ’s with answers and solutions which help students to get good score in MDCAT/MCAT test. There are the answer keys of all booklets white, Blue, Pink and Green. This entry was posted in MDCAT, UHS MCAT and tagged Best way to prepare for UHS MCAT, download UHS MCAT Papers, download UHS MDCAT Papers, MCAT answer key, MCAT answer key 2017, MCAT answer key Blue booklet, MCAT answer key Blue booklet 2017, MCAT answer key Green booklet, MCAT answer key Green booklet 2017, MCAT answer key Pink booklet, MCAT answer key Pink booklet 2017, MCAT answer key white booklet, MCAT answer key white booklet 2017, MCAT answer keys, MCAT answer keys 2017, MCAT answer keys Blue booklet, MCAT answer keys Blue booklet 2017, MCAT answer keys Green booklet, MCAT answer keys Green booklet 2017, MCAT answer keys Pink booklet, MCAT answer keys Pink booklet 2017, MCAT answer keys white booklet, MCAT answer keys white booklet 2017, MCAT entry test, MCAT Merit list, mcat result, mcat score, MCAT test, MCAT test answer key, MCAT test answer key 2017, MCAT test answer keys, MCAT test answer keys 2017, MDCAT, MDCAT answer Key, MDCAT answer Key 2017, MDCAT answer Keys, MDCAT answer Keys 2017, MDCAT entry test, MDCAT Merit list, mdcat result, mdcat score, MDCAT test answer Key, MDCAT test answer Key 2017, MDCAT test answer Key Blue booklet, MDCAT test answer Key Blue booklet 2017, MDCAT test answer Key Green booklet, MDCAT test answer Key Green booklet 2017, MDCAT test answer Key Pink booklet, MDCAT test answer Key Pink booklet 2017, MDCAT test answer Key white booklet, MDCAT test answer Key white booklet 2017, MDCAT test answer Keys, MDCAT test answer Keys 2017, MDCAT test answer Keys Blue booklet, MDCAT test answer Keys Blue booklet 2017, MDCAT test answer Keys Green booklet, MDCAT test answer Keys Green booklet 2017, MDCAT test answer Keys Pink booklet, MDCAT test answer Keys Pink booklet 2017, MDCAT test answer Keys white booklet, MDCAT test answer Keys white booklet 2017, punjab mcat merit list, Punjab Mcat result, Punjab Medical Admission UHS, Punjab UHS MCAT, UHS, uhs answer key, uhs answer key 2017, uhs answer key Blue booklet, uhs answer key Blue booklet 2017, uhs answer key Green booklet, uhs answer key Green booklet 2017, uhs answer key Pink booklet, uhs answer key Pink booklet 2017, uhs answer key white booklet, uhs answer key white booklet 2017, uhs answer keys, uhs answer keys 2017, UHS MCAT Aggregate Score, UHS MCAT Entrance Test, UHS mcat merit list, UHS MCAT result, UHS MDCAT, UHS MDCAT 2017, UHS MDCAT Aggregate Score, UHS MDCAT Dates, UHS MDCAT Entrance Test, uhs merit list, UHS test answer key, UHS test answer key 2017, UHS test answer keys, UHS test answer keys 2017, UHS test result on August 21, 2017 by Pakprep.com Admin.